The International Network—An item placed on Ebay last weekend has relic collectors excited about a new find. The supposed relic of the True Apple from the Tree of the Knowledge of Good and Evil is being auctioned off with the starting bid at $15. The seller of the relic of the True Apple says in his description of the item that teeth marks from both Adam and Eve are still clearly visible, thereby authenticating the relic. 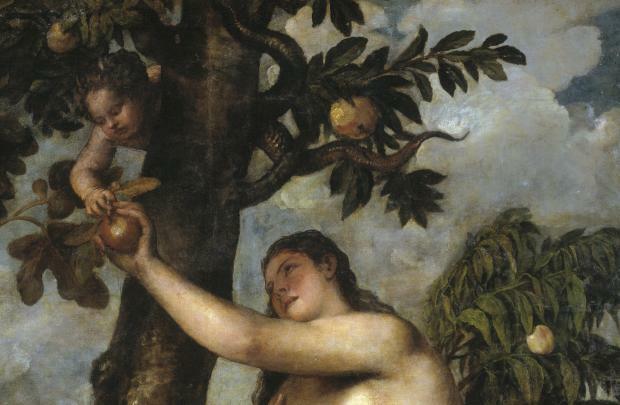 At press time, Smith has noticed a sticker on the side of the apple in the image, and is baffled that the apple that once hung from the Tree of the Knowledge of Good and Evil was a Red Delicious.